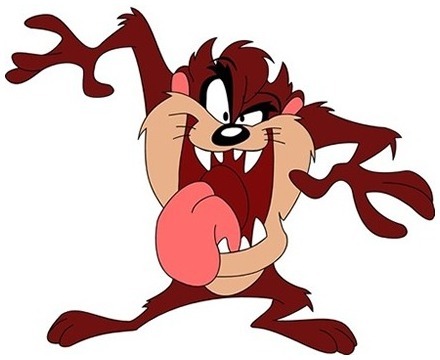 There is a fascinating study out this week where scientists at the University of Sydney in Australia have found that Tasmanian devil milk contains a remarkable collection of antimicrobial compounds. These compounds can kill some of the most deadly bacterial and fungal infections known to science including golden staph. While I would not want the job of milking Tasmanian devils down under at the farm, scientists are hopefully isolating these powerful compounds. The milk includes six different types of antimicrobial compounds that show surprising success against a number of drug-resistant bacterial and fungal pathogens. This includes success against golden staph (Staphylococcus aureus) that is most deadly in cases of food poisoning, pneumonia, and toxic shock syndrome. It is also effective against Enterococcus, which can cause urinary tract infections and meningitis, as well as Candida krusei, the yeast species associated with high mortality. It also killed the airborne fungus called Cryptococcus gattii. That is an incredible capacity of these carnivorous marsupials found on the Australian island state of Tasmania. The scientists have isolated two types of peptides – Saha-CATH5 and Saha-CATH6 – as critical to this capacity. The study is another remainder of the danger of our loss of species and natural areas like the rain forest. The most incredible medical advances have been based on these type of naturally occurring compounds and chemicals. Species are being wiped out that could have the cure to cancer and other deadly threats to humanity. We are literally destroying the cures that we seek in failing to curtail clear cutting and destructions of natural areas. Not exactly sure the reproduction of the Looney Tunes image is fair use. Since the milk cannot be patented, they have to synthesize it. Ah, money. If only the medical industry had an interest in health. Good article, it follows that exposing the body to small amounts of what might hurt it will build immunity. This is known with snake venom, urine, and other stuff that could harm or kill if taken in by a ‘virgin’ body. Sources such as these should be incorporated into our medical systems along with what works from other systems. Looking outward to learn is a tough thing to do for the professional. Tasmanian devils are not the only ones that can inhibit bacteria. Human breastmilk contains bacteria (Lactobacillus strains and others) that produce bacteriocins that inhibit the growth of competing and detrimental bacteria (like Staph). Human breastmilk also contains lactoferrins, with can inhibit detrimental bacteria, too. While having available medications to fight ongoing infections is helpful, working to prevent infections would be better in the long run. Well-nourished people with a healthy gut microbiome are going to be more effective at fighting off brewing infections themselves. Most of the world is poorly nourished, not because they get too few macro nutrients, but because they get too few micro nutrients. That includes Americans. Tasmanian devils live in fairly dirty environments, and, they are predominantly scavengers (like possums), so their guts have to deal with nasty bacteria all the time. Not saying we should eat rotten food, but if we ate more fermented foods like kimchi and bacteria-laden pickles, would our systems adapt to better fight pathogens? Interesting article, Professor Turley, thank you for sharing. Thanks anyway, but I think I’m sticken’ with a shot and a beer back. American marsupials, like the Possum, can do the same thing. They can clear ticks of certain things, like Lyme disease. Then I need more possums on my property. Squeeky, while it’s true that the much-maligned opossum is actually a friend in the fight against Lyme disease, it’s because they eat the ticks that carry the disease. Due to the lack of research, we don’t if the milk of opossums has anti-inflammatory and/or antibiotic qualities the way that Tasmanian devil’s milk does. Tasmanian devils mainly feast on other dead animals, which isn’t the staple opossum diet. But this is certainly an area for more research regarding both animals. At any rate, you should not be frightened by the site of an opossum should you find one or more in your back yard. They aren’t bad creatures, and in their own way, they’re kind of cute. I know! I feed a couple of them every night. They love my “greasy bread.” I save up sausage grease and pour it over a piece of bread. After it sits a few days, it gets like a cracker. I tear it into pieces and throw it out in the yard. The possums are kind of spoiled to it though, and they will often ignore the other bread I put out, and the bird seed, and just go for the greasy bread. Sometimes, a raccoon or two will also show up. I try not to throw out too much food, because I like the critters, but I know I can not take them to raise since they are wild creatures. I just try to help them along a little. One Possum, who I call “Tank”, has been coming around for 3 years. He is one big possum. My cats really enjoy watching them at night through the glass door. Plus, when you have possums, you don’t have slugs, or even those big waterbugs. Squeeky, thanks for your post which led me on a search that proved very informative. My 20 year-old daughter has struggled with chronic neurological Lyme disease and Bartonella (a related tick borne infection) for the last four years. She somehow made it through the last year of high school and nearly 2-1/2 years of college, but it’s been a real struggle. Lyme is very difficult to diagnose, which is accomplished by looking at the body’s immune response because it cannot usually be cultured. My wife and I have taken her to numerous doctors all of whom look at it differently. We finally found a real expert after multiple misdiagnoses, countless blood tests, MRIs, a spinal tap, months spent semi-bedridden, and years of masking very serious symptoms. His views are just coming into acceptance after years of research. The treatment itself is debilitating. It’s an ongoing battle. I live in a Connecticut town located in a region with the highest Lyme concentration in the world. I’ve never seen opossums on our property, but am interested in finding a way to get them here.